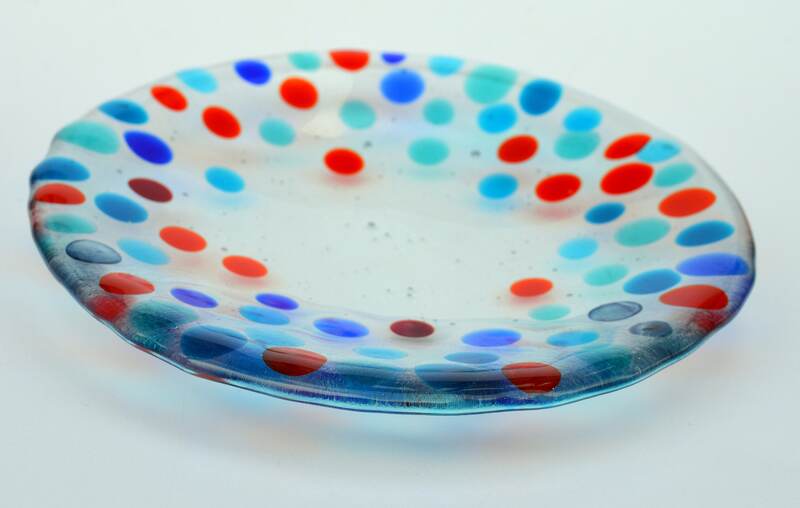 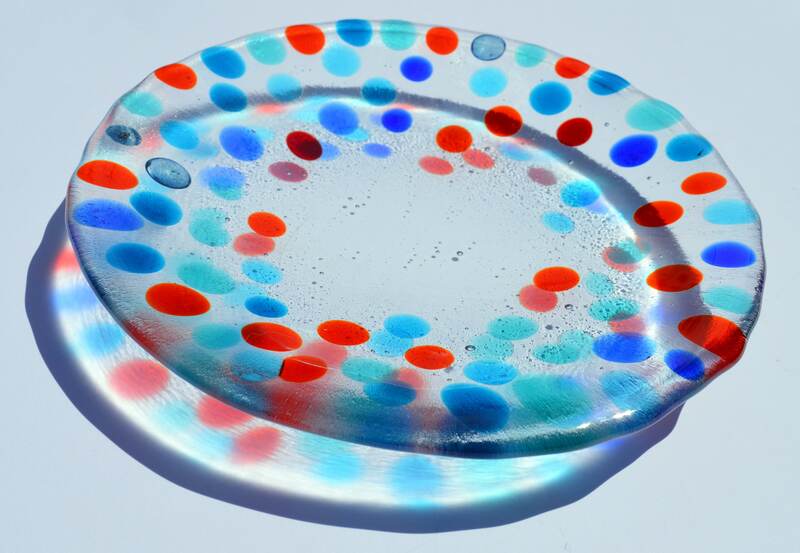 Round fused glass bowl, measuring approx.20cm in diameter and one inch deep. 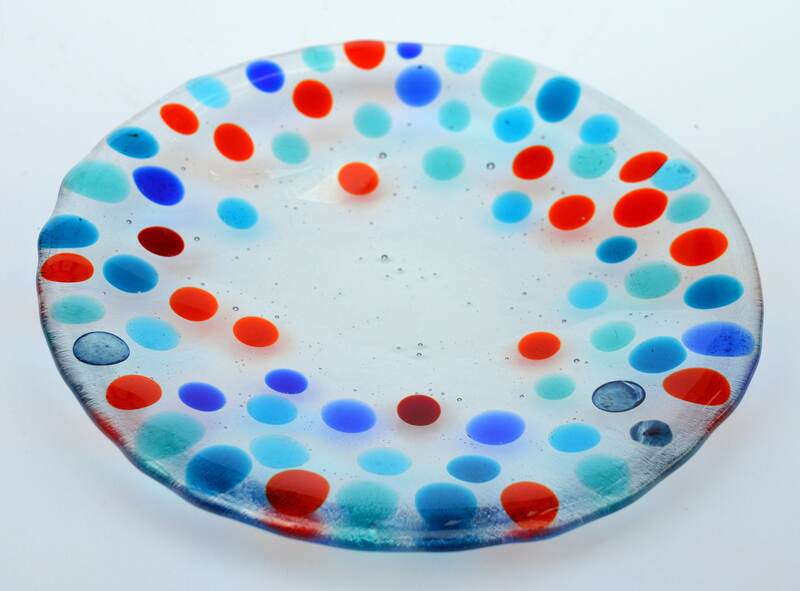 Hand crafted myself from 2 layers of clear 3mm glass with coloured glass pebbles fused into the surface. 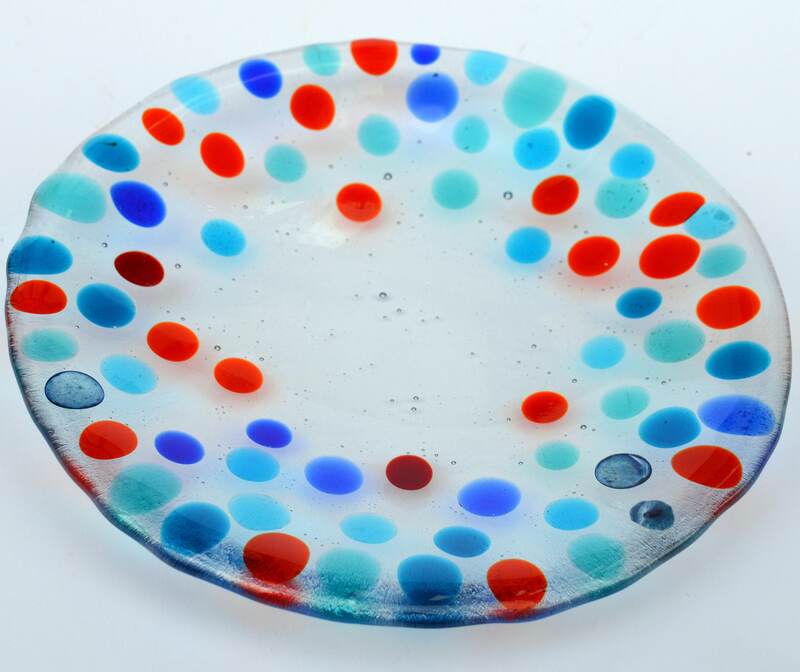 Created in my home studio in Bristol.